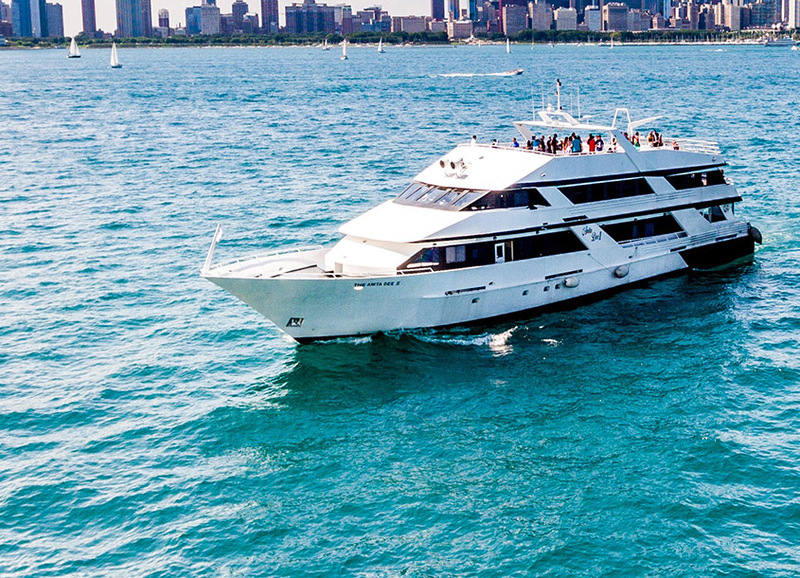 Anita Dee Yacht Charters has hand-selected the finest in Chicago catering and entertainment companies to provide you with outstanding service and help create the perfect event. Both of our vessels are equipped with a full-service galley offering endless cuisine possibilities. Each one of our preferred caterers was chosen based on customer service, creativity, variety and flexibility and are ready to assist you with the utmost level of service and satisfaction. Please contact one of our preferred caterers listed below directly for a customized menu package. Each company meets our insurance and licensing requirements. Anita Dee can also accommodate any licensed and insured caterer not listed below for an additional fee. Or click here to download a copy of the non-preferred catering guidelines for your Chicago boat charter. Specializing in extraordinary, artistically displayed cuisine since 1984; Catered by Design is committed to providing uncompromising service and flexibility. Beyond Events promises to impress at every occasion, with over 25 years of experience, we are dedicated to providing the highest quality in both food and service. Harry Caray’s Catering promising the same award-winning cuisine and attentive service that characterizes our legendary flagship restaurant from lavish five course dinners to casual barbeques. Blue Plate offers customized menus featuring the season’s freshest ingredients. Our award winning culinary team will create a menu that is tailored to your vision and budget helping you create the perfect special event. Since its launch in 2011, Paramount Events has created a reputation for itself in the city of Chicago and beyond of creating meaningful events with an emphasis on local and sustainable food while delivering the highest quality of expertise and professionalism. For 35 years, Food For Thought has provided the means behind some of Chicago’s most treasured moments. Our award-winning kitchen and service teams craft more than exceptional dining experiences in the area’s most renowned venues. We also take every step to help our clients and their guests truly live in their moments, making them rich, making them right.